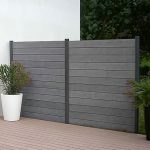 Do you want to know all about wood plastic private gates and fencing? Come in and see our new range of wood plastic composite private gates and fences system. 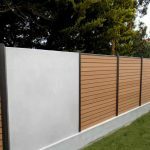 Our composite wood fencing and gate products will give you the privacy you desire and with our wide range of colours matches the D or of your house. You can also mix frame and infill sheet colours for that different look. 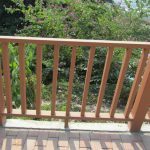 2×3 Top Rail, 2×6 middle rail & Metal reinforced 2×6 Bottom Rail.7/8×7 Tongue & Groove Vertical Pickets.Available in concave or convex top rail.Lattice available in small & large diagonal or square. Qizhen private gates and fences are manufactured in special production process for a company that has been manufacturing and distributing fence products for over 5 years. 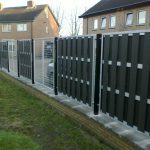 All of your vinyl products are made with only 100% scrap metal recycling materials.Our composite privacy fence panels are Wind Certified to 130 MPH! Perfect for commercial or residential applications. 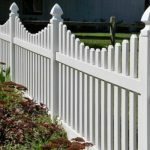 Our beautiful fencing system color option including: White private gates and fences, black private composite fencing. Complete the installation only needs simple steps! 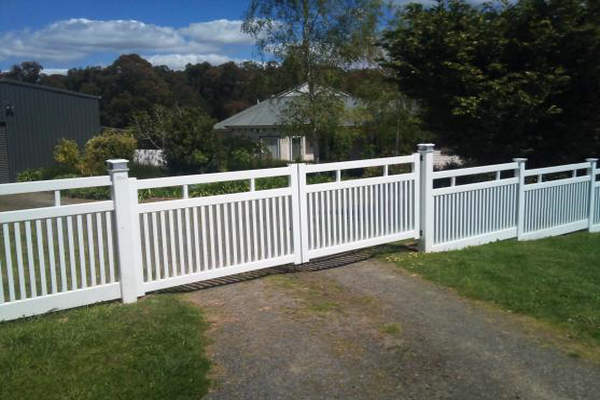 No brackets No Wood No Screws.Our gates and fences designs are simple and beautiful! Matching privacy fence gates for every style. 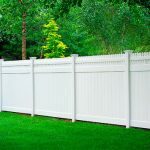 Many styles to Choose From up to 12 feet Tall privacy fence! Lifetime Warranty!